Corky Taylor with Craft Producer of the Year Award. 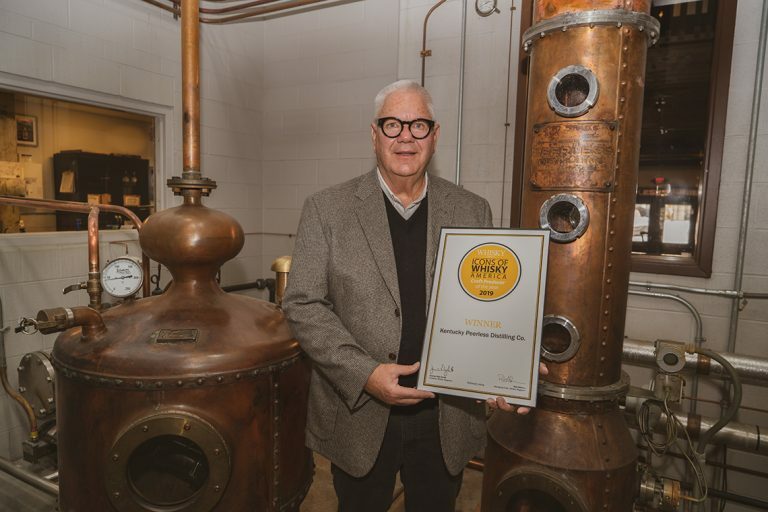 Courtesy Kentucky Peerless Distilling Co.
Kentucky Peerless has been awarded the title of Craft Producer of the Year by Whisky Magazine. The field of competition was stiff – Whisky Magazine received over 900 nominations for the award. They narrowed it down to 20 craft distillery finalists from around the world before selecting Peerless as their winner. Peerless Fourth Generation owner Corky Taylor accepted the honor in person at the magazine’s Icons of Whisky award ceremony. “When they played the music for me to walk up there, I can’t tell you how excited I was to get up there and shake the man’s hand and tell him how honored I was to receive this award,” he remembers. The first ever Peerless Bourbon was barreled over a century ago in 1889. Taylor, along with his son Carson, revived their family’s brand in 2014. 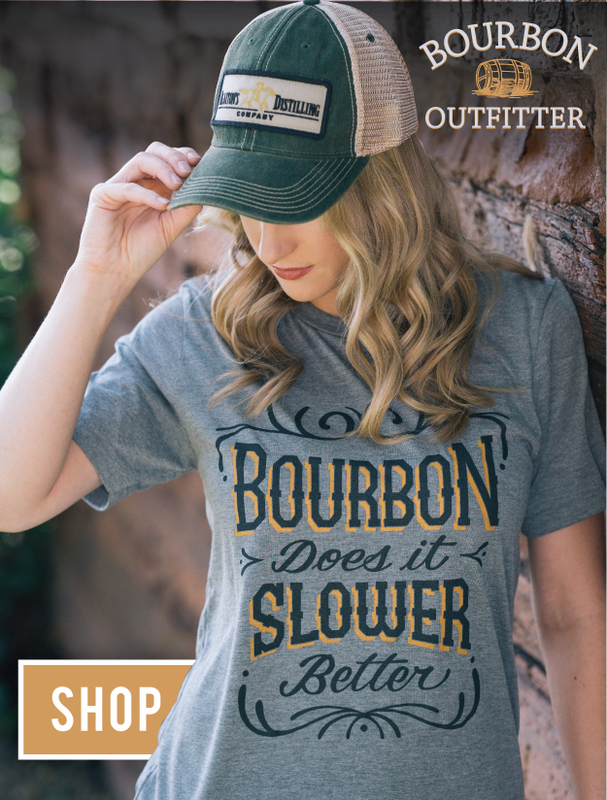 Every step of the whiskey making process, from milling the grain to barreling bourbon and rye, happens under one roof at their distillery in Louisville, Kentucky. Each year, Whisky Magazine collects nominations for different categories in their Icons of Whisky Awards. Nominations are made by industry peers and winners are decided by the Whisky Magazine Editorial Panel.